These are the best sugar cookies I’ve ever had. They are thick, soft and slightly chewy with a perfectly pillowy center. 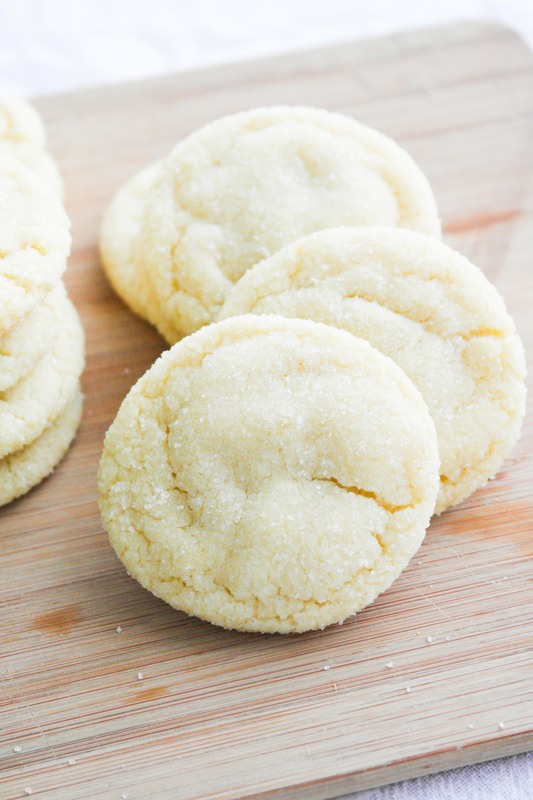 Sugar cookies. They’re a classic and they come in many shapes and sizes. They come in thin and crispy, thick and pillowy, fluffy and soft. As with any classic baked good, they’re quite controversial. Every person has their favorite type of sugar cookie (check out my vanilla cupcake debacle and you’ll understand what I mean). My favorite type of sugar cookie? Thick, soft, with a distinct flour flavor and rolled in sugar. I like the edges crispy and I like the center soft. That can’t be too much to ask, right?! These cookies are the product of tries and more tries. First, I tried a recipe that I’ve tried before. I thought it was good, but one of the things I’ve learned with blogging and trying other blogger’s recipes: recipes need to have nice round numbers and they need to halve or double easily. This recipe did not. Besides, when I took them to work, people kept saying how much they liked me “lemon cookies.” That was awkward because there wasn’t a drop of lemon in them. Moving on! 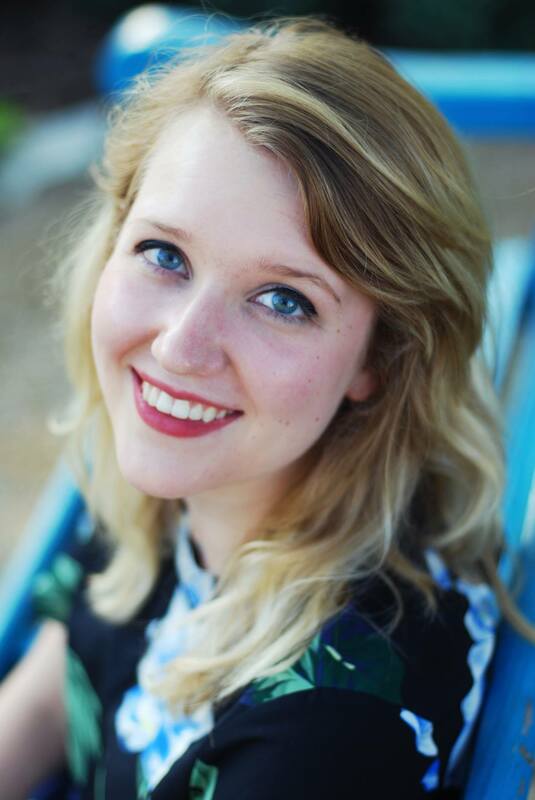 So I did some schignaggling (which is Brita for editing). I rounded up the flour, rounded the sugar down, and did some more rounding. Because I decreased the amount of butter slightly and decreased the overall amount of egg just slightly, I added two teaspoons of milk to the recipe. This adds that little extra bit of moisture, but it also aids in the fluff of the cookie. The little extra liquid makes the dough more elastic and adds steam while the cookie is baking, so it gets a nice puff but also lots of air bubbles for the leavening agents to work on. It’s a double whammy of baking fun! The question was, what leavening combination do I use to make the softest sugar cookies possible? I had two options: first, I could cream of tartar. I love cream of tartar in cookies. That’s what is in Snickerdoodle cookies and I love the slight tang it gives the cookies. Sally’s Baking Addiction’s Funfetti cookies uses cream of tartar, so I used her leavening as a jumping off point. The second option was using a baking soda combination with cornstarch. I had heard that cornstarch makes ridiculously soft cookies, so I wanted to give that a try as well. Averie Cook’s sugar cookie uses cornstarch, so I used hers as a model. The results? The cream of tartar leavening combination was far too strong, but my favorite of the two. The cornstarch somehow detracted from the flavor of the cookie and made them slightly yellowish. I much preferred the cream of tartar, but there was too much leavening. There was a metal aftertaste in my mouth that I did not enjoy. For my final product, I decreased the baking soda, baking powder and cream of tartar. After one bite, I knew that this was the cookie. 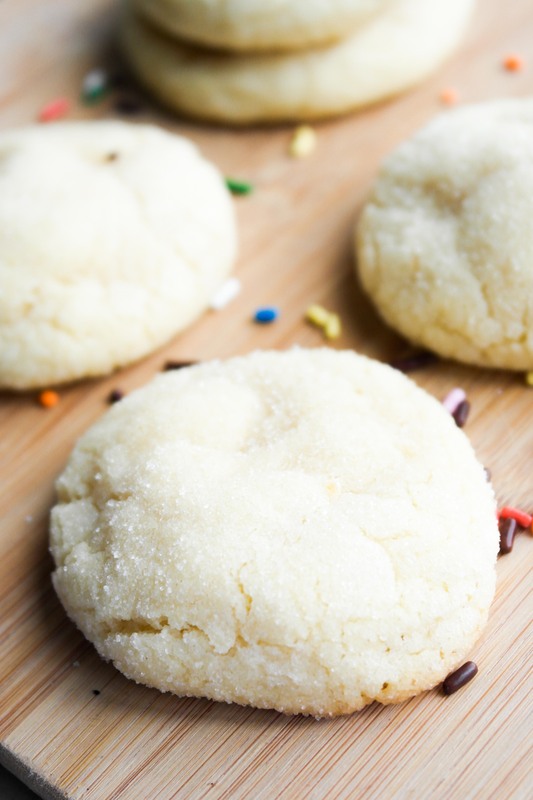 This blasted sugar cookie took many tries to perfect, but the end results are insanely delicious. They were fluffy, thick, soft but still slightly chewy. The flavor was exquisite. I took this final batch to work and the consensus was they were amazing. One of my dear coworkers told me they were one of the best sugar cookies she’s ever eaten. That made my heart melt. 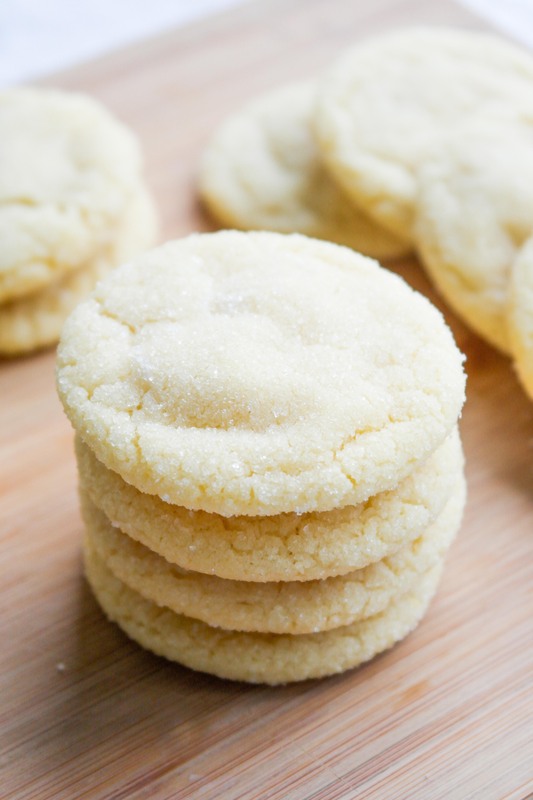 In order to achieve the perfect sugar cookie, I have made a list of tips for you. They’re detailed but worth it! Set out the butter fifteen to twenty minutes before creaming the butter and sugar. This way it’s easier to mix in and full incorporate the sugar and butter. Cream the butter and sugar for at least two minutes. Leavening only works on pre-existing air bubbles, so if you cream the butter and sugar for longer, there will be more air bubbles for the leavening to act on and thus more fluffy cookies. Delicious! Set the eggs out an hour prior to baking so they are room temperature when you mix them in. Or, put them in a bowl of warm water for five minutes. Why do you do this? Room temperature eggs incorporate better into the dough to produce a more even cookie dough. Mix the eggs in one at a time. Why? America’s Test Kitchen found that when you mix in eggs one at a time, you ultimately spend less time mixing the dough. This is good because the more you mix the dough, the more gluten forms. You want as little gluten as possible to form. Mix the flour, baking soda, baking powder, cream of tartar and salt together in a separate bowl and then add to wet ingredients. Why? This more evenly disperses the baking soda throughout the dough so you get more even cookies. After you add the flour to the wet ingredients, only mix until the flour is just fully incorporated. The less you handle the dough, the more fall-apart-in-your-mouth the cookies will be. I even end up mixing the dough with my hands in the final phase of mixing so as to not over mix. Chill the dough for at least two hours or up to 36 hours. Chilling prevents the dough from spreading less, but it was another important consequence: the flavors are able to mingle and mix and produce a more tasty cookie with a greater depth of flavor. Use parchment paper or a Silpat mat. These hold onto the cookie to reduce spread; the cookies bake more evenly. 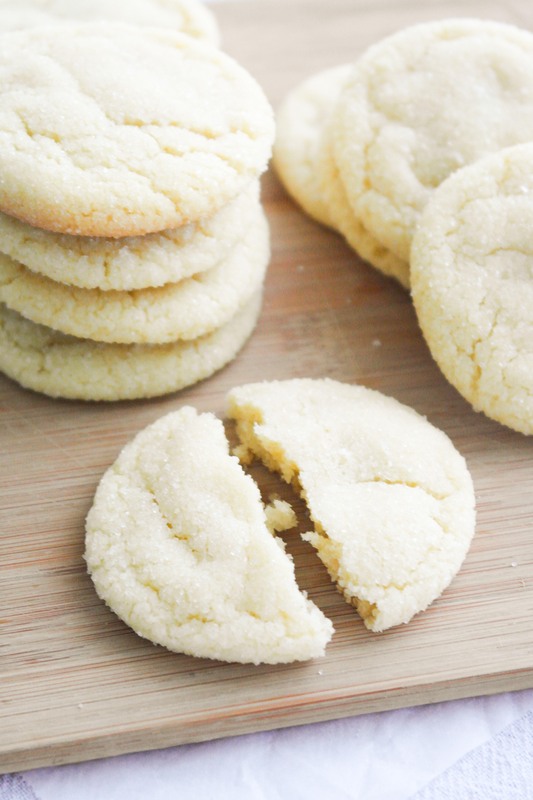 These sugar cookies are thick, soft and slightly chewy with a perfectly pillowy center. 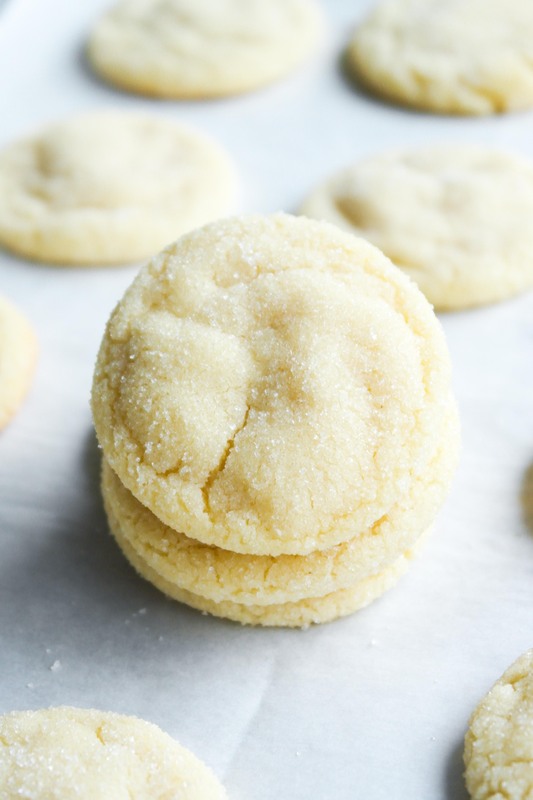 They’re definitely my new go-to sugar cookie recipe. In a bowl, using a stand mixer or a hand mixer, cream together the butter and granulated sugar. Add the egg, milk and vanilla. Mix until incorporated. In a separate bowl, mix together the flour, baking powder, baking soda, cream of tartar and salt. Then roll them in sugar. If you don’t use the dough within that time, freeze it. A trick that I have is to roll the balls before I freeze them for easier baking. When you bake them from the freezer, let the dough thaw on the counter for a half hour. Preheat the oven to 350 degrees. Line a cookie sheet with parchment paper or a Silpat mat. Bake for 12-14 minutes, or until the first brown appears. Once baked, these cookies will last in a sealed container for up to three days. 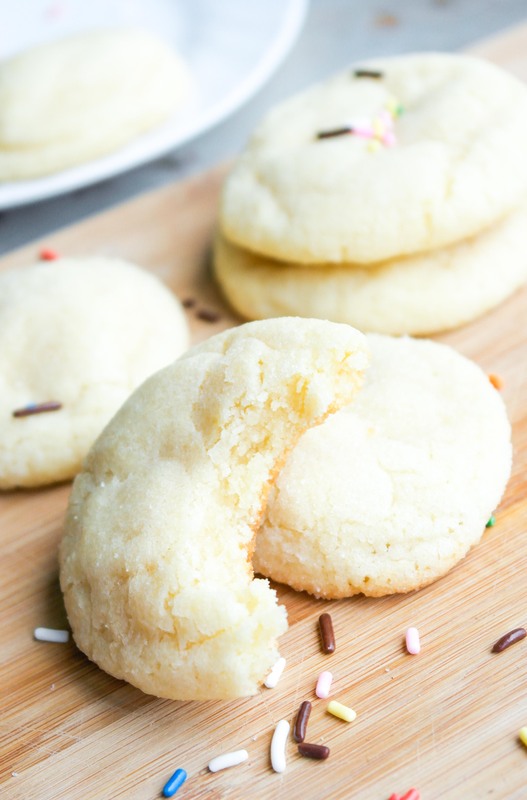 I just tried this recipe for the first time and they are legit the best sugar cookies I have EVER made. And they could be better than cookies I’ve bought from some of the best bakeries in Chicago. Thanks for sharing – definitely going to make these cookies again! Jenny! Thank you so much for the comment. You made my day! I absolutely love this recipe. They’re so wonderful. I made these cookies last year and a coworker has been asking for them every since. I love to cook but by no means am I a baker. These cookies have made a name for me in the office, ironically I work from home! 🙂 I screenshot the recipe and then my phone did a factory reset. Thankfully I had uploaded all pictures just before. I am so happy I was able to find this recipe again. I am making them tonight for that same coworker’s birthday tomorrow. It’s been a year but they are worth it! Thank you!!! Hi Montisha! Thanks so much for the feedback! Clearly you have a knack for baking as well!